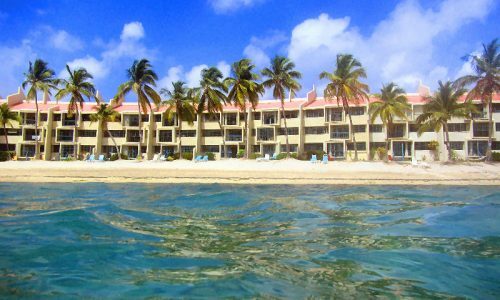 Looking for a great sea side location on St Croix ? This one is a Shore Thing ! GROUND FLOOR & SEAVIEW.. SAND AND SEA BREEZE… a tropical paradise !! 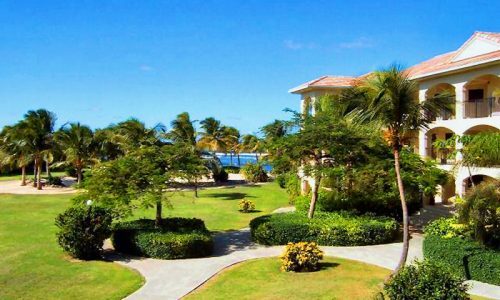 This spacious 2 bed, 2 bath condo has a view of both the turquoise blue Caribbean and the lush gardens of Colony Cove. The Master Bedroom has a king size bed and the 2nd bedroom has two twins that can combine into a King. Both bedrooms have individually controlled A/C. Open the sliding glass doors and bask in the refreshing trade winds. Enjoy two full bathrooms, one en suite with shower and the other in the hall with tub/shower combo. Your spacious living room has FREE Cable TV, WiFi and a telephone for local and stateside calls. A full kitchen awaits your culinary skills or walk steps down the beach to one of two great restaurants. There is a washer/dryer IN UNIT for laundry. This first floor condo is convenient to parking with no stairs and direct access to the pool and beach from a gate in your private gallery (patio). 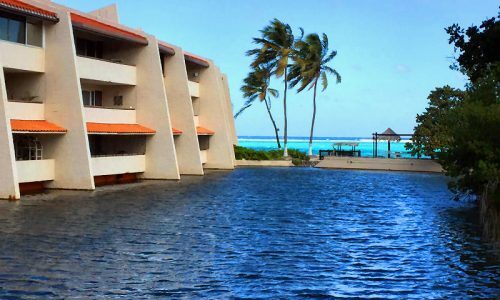 Relax by the pool or lounge on our sandy beach and take in the view of the sea and Buck Island. Snorkel ‘Long Reef’ right from the Colony Cove beach where you will see many tropical fish. Colony Cove is a gated complex with 24 hour security, FREE parking, pool and gas grills, tennis courts and direct beach access. 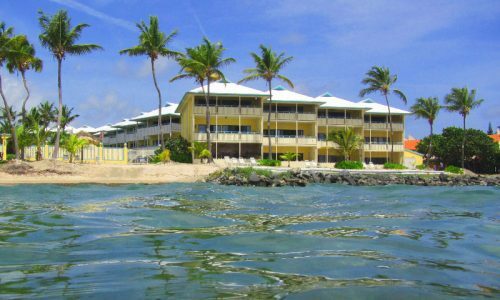 Conveniently located about 5 min from downtown Christiansted and only 20 minutes from the airport. There are two grocery stores minutes away for your convenience as well as fast food, shopping and dining. 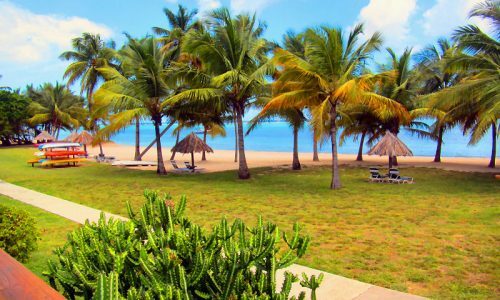 There is much to do in St. Croix and a visit to Frederiksted is a ‘must do’ to relax on the beach and enjoy the sun and sand. There is great snorkeling around the pier as well. SO much to do.. we’re SO much more than just another pretty beach !! ..